Oswego Speedway's annual Ride with the Legends Program will take place on Saturday, September 5 during Budweiser International Classic Weekend. 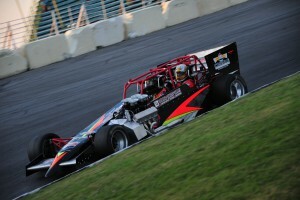 OSWEGO, NY – The popular Ride with the Legends program will return during the Saturday morning schedule of Oswego Speedway’s Budweiser International Classic Weekend, as the Canale Insurance & Accounting 2-Seat Supermodified roars to life with a handful of champion drivers behind the wheel. Oswego Speedway’s annual Ride with the Legends Program will take place on Saturday, September 5 during Budweiser International Classic Weekend. Five legendary drivers have already been selected for this year’s ride along including Joe Gosek, Mike Ordway, Mike Muldoon, Dave Shullick Sr., and Randy Ritskes. 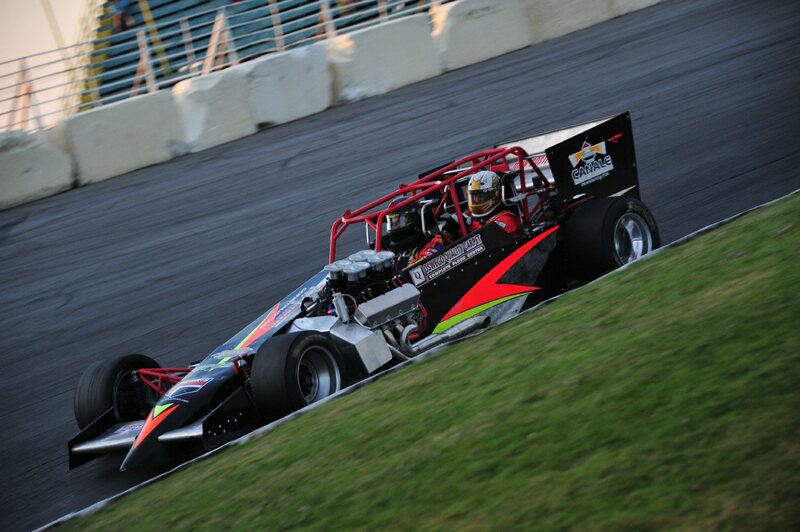 Rides are only $275 to take a total of six laps around the fast 5/8 mile in the newly freshened Canale Insurance & Accounting 2- Seat Supermodified, sporting a brand new 800+ horsepower big-block Chevy engine. Rides will take place from 8-11 a.m. on September 5. To book a ride with one or more of these legendary drivers, fans must call the Speedway’s box office at (315) 342-0646 to reserve a slot. Gosek, Ordway, and Muldoon are past champions of the Budweiser International Classic. Gosek, a three-time champion of the 200, is also a two-time Oswego Speedway track champion and has scored four top five finishes at the Speedway this season in his patented No. 00 machine. Ordway, the winner of the 2003 International Classic, was a Speedway track champion in 1991 and is known as Mr. Supermodified, with six title victories in the $10,000 to win special. Muldoon, who drove to victory in the 1995 edition of the International Classic, won three consecutive track titles from 1997-1999 and is a two-time winner of the Mr. Supermodified. This year’s Ride with the Legends will be Muldoon’s first drive in the Canale Insurance & Accounting 2-Seat Supermodified. Joining Classic champions Gosek, Ordway, and Muldoon as drivers will be Speedway veterans Shullick Sr. and Ritskes. Recently inducted into the Speedway’s Hall of Fame, Shullick has five career Speedway victories including a win in the famed Port City classic. Shullick was known far and wide as a yearly threat for the International Classic title with eight top five finishes in the 200-lap grind. Ritskes, a former weekly driver of the Canale Insurance & Accounting 2-Seat Supermodified, will join the Legend ranks this year, and like Shullick was a constant threat for Classic victory. During his driving tenure, Ritskes scored five top five finishes in the 200, including a near flag to flag triumph in the year 2000.